Dennis, KC9OIS says planning for the 2014 Cellcom Marathon has begun. He suggests checking the Cellcom Marathon-ARES website at least once a month. He notes he will will be updating information that affects Amateur Radio volunteers specifically. 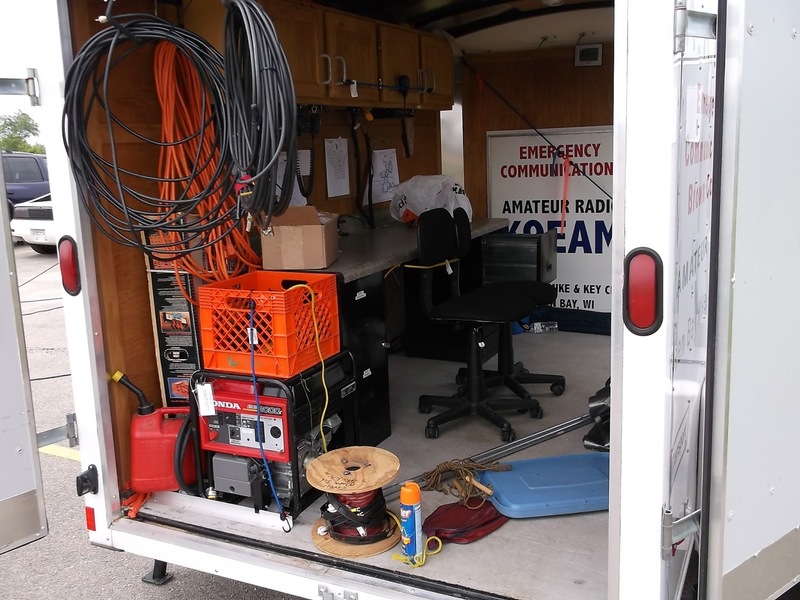 THIS WILL BE THE PRIMARY MEANS OF COMMUNICATING WITH AMATEUR RADIO VOLUNTEERS! We are looking for 40-50 or more volunteers for 2014, so pass the word. IF YOU KNOW SOMEONE INTERESTED IN VOLUNTEERING, HAVE THEM JOIN Cellcom Marathon-ARES website GROUP. THANKS TO EVERYONE FOR MAKING LAST YEAR A TREMENDOUS SUCCESS! I am looking to set up a 3 or 4 man committee to help organize the event. One person to work out changes to details on communications issues (repeaters vs med tents) and previous issues with NET Control Communications. One person to manage assignments & last minute changes. One person to lead / manage Net control operations in my absence. I am becoming more involved at the organization and logistics levels and will be shadowing Tom Krahn during the event. If you are interested send me an email. Many of the meetings are once a month at 7:00am on Tuesday or noon on Wednesday or Thurday in Green Bay, but are not a requirement to attend. I will make all of the meetings if I get the reports and updates a day or two before the meetings. As soon as I get the calendar I will pass it on. 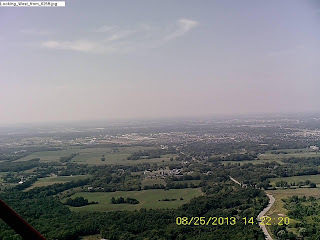 Internet has been restored to the hill which brings the IRLP on 444.775 back on-line. Our existing link to St. Norbert's had to be removed in early November for their remodeling project. The new link is using the same equipment as before but is now at a club members home. 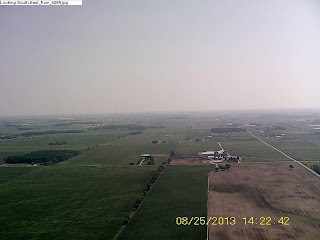 It is a 4.8 mile hop on 2.4Ghz. 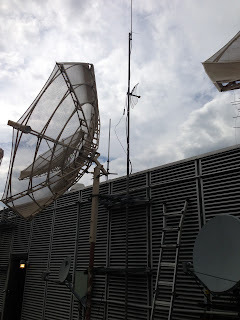 The signal appears fine, however we need to watch it over the next week to make sure that it is stable. 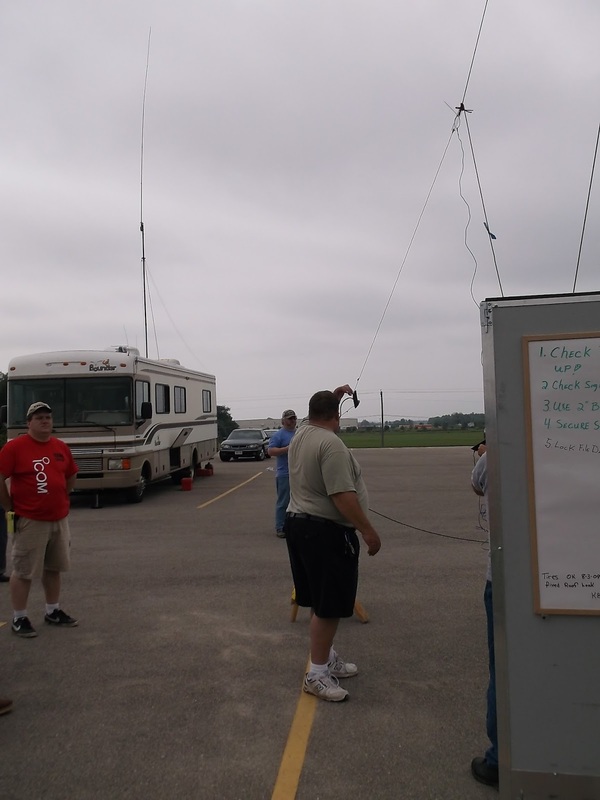 Matt, KC9UHI has started up a message board as a central location for discussion of various digital technologies in amateur radio. 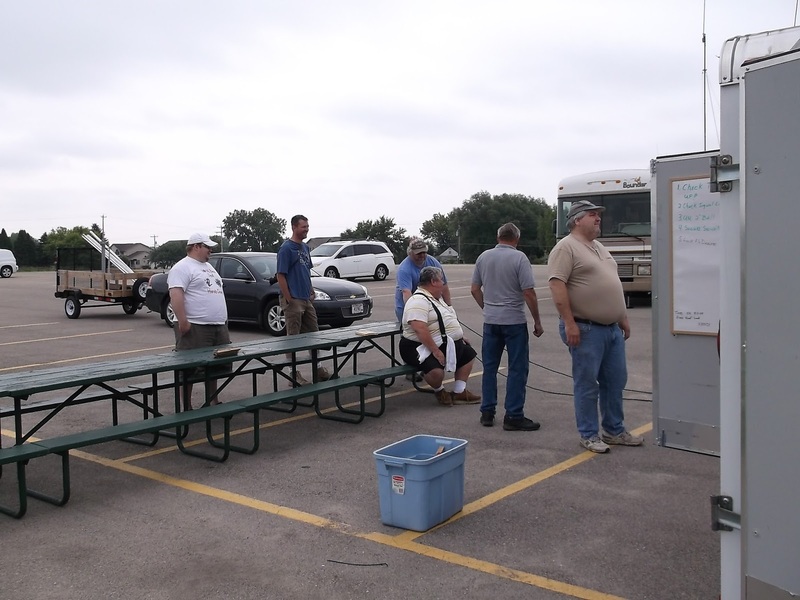 It seems as many people in the area are beginning to get more involved with HSMM, P25, APRS, etc. and working on implementing the technology for use. Unfortunately, most of the project ideas and breakthroughs aren't currently easily communicated to others who might have valuable input - here's a way to do so. Please feel free to share the site with others who might be interested. This is the meeting to vote on bylaw changes. The first proposed change is to remove the position of newsletter editor and instead to have an additional member at large. 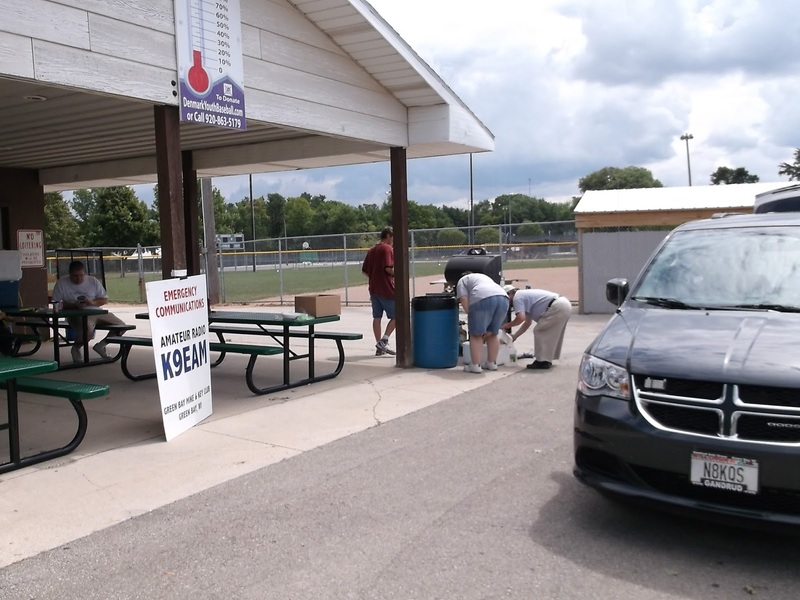 The second change is that non club members must get permission from the board before working on or taking club equipment out of service. The changes were proposed, seconded, and passed. The annual Green Bay Mike and Key club Christmas party. It will be held December 7th at the Legion post on North Irwin St.
Get together will be at 5 with dinner at 6. Please bring a dish to pass and your own table gear. The club will provide soda. If you require adult beverages please bring them. We will hold the white elephant gift exchange again this year, so bring a slightly used gift to exchange . 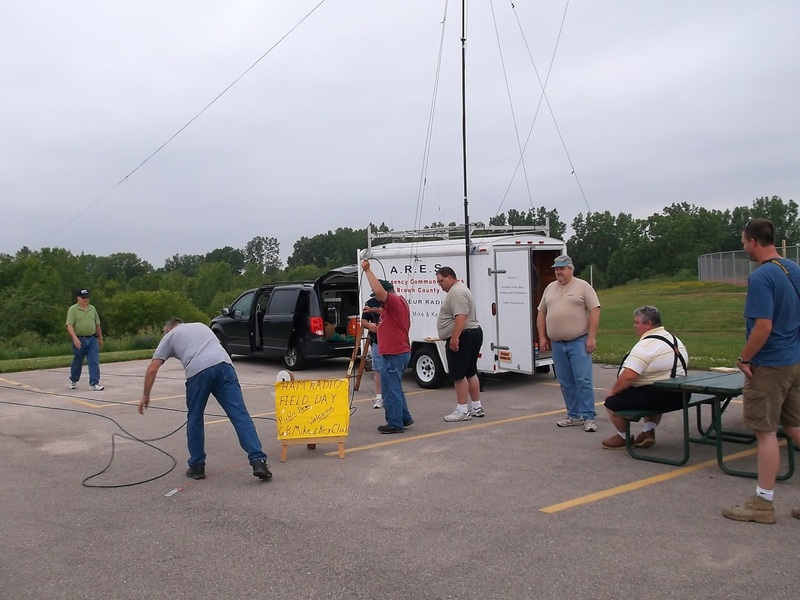 In the Green Bay area, the Green Bay Mike & Key Club will be demonstrating Amateur Radio at the Sports Complex at 3385 Finger Road June 22 and 23rd. 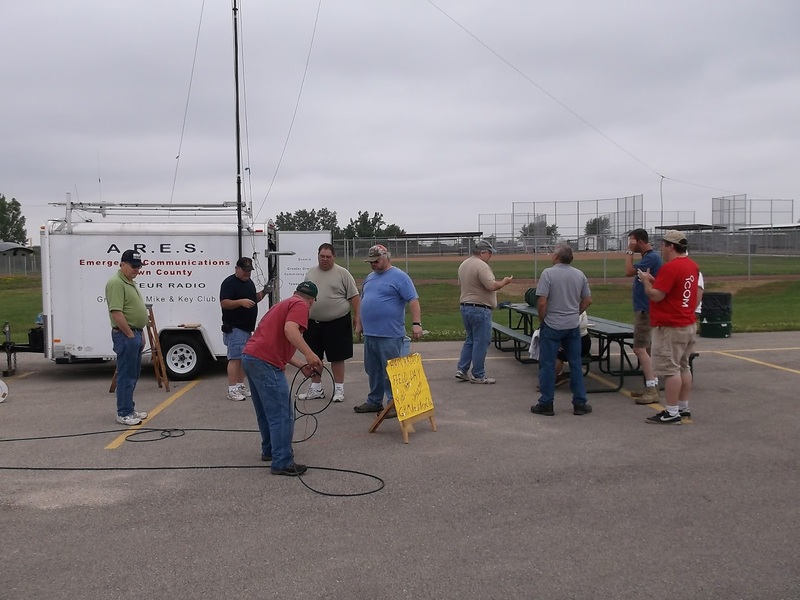 For any hams interested in helping set up, we plan to start with a breakfast at Aurora Hospital at 8 am with setup beginning at 10AM. 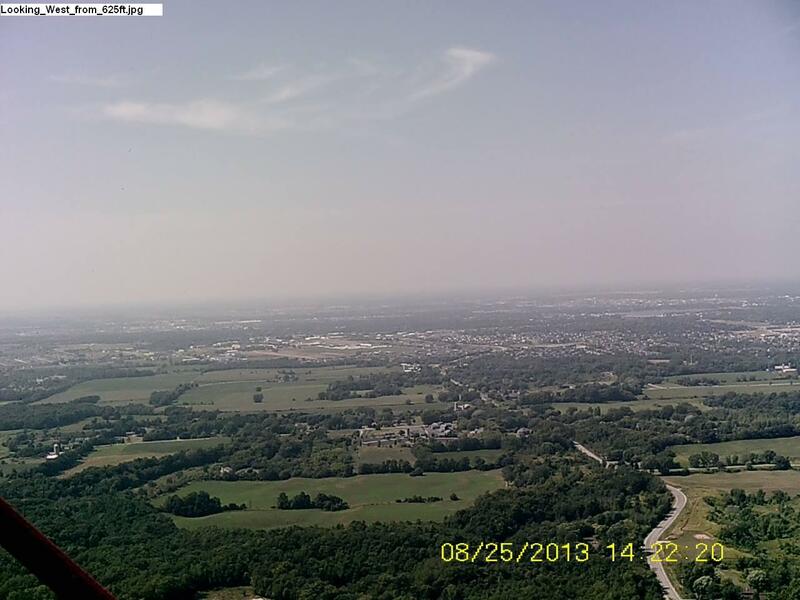 There is plans for a cookout Sat evening at 6. 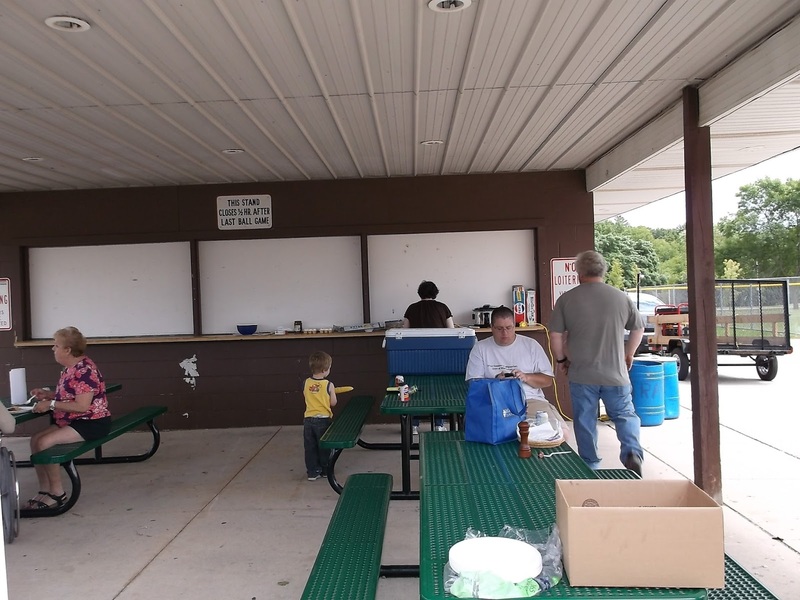 The club will provide brats and soda. Please bring a dish to pass and any other meat you would like to burn.Also please bring your own eating utensils Any ham in the area is welcome, also feel free to bring your family. Lets try to get more participation this year. 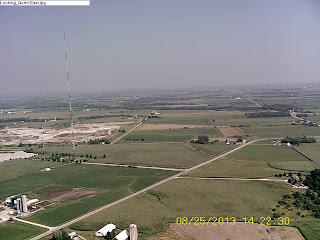 We will be running 5A this year with the callsign K9EAM. 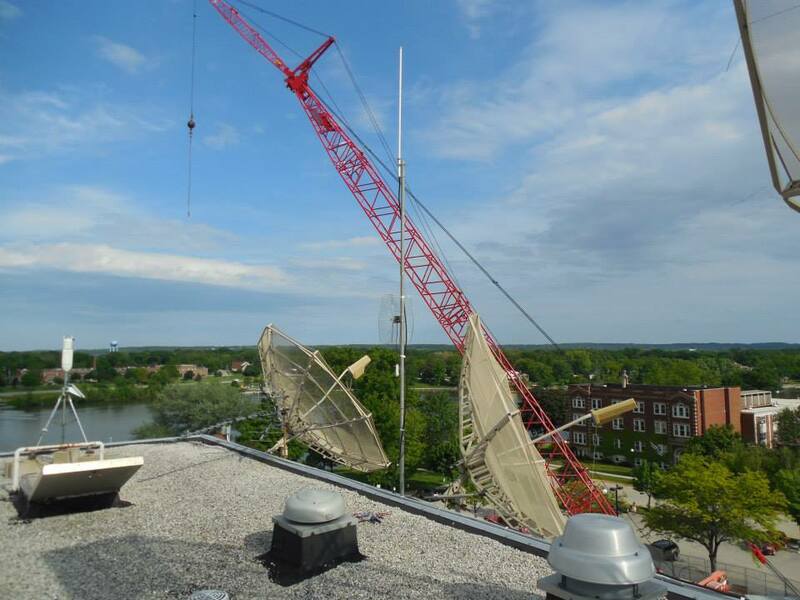 Saturday the tower a top St. Norbert college was removed. Construction on the JM Science building is in full swing. 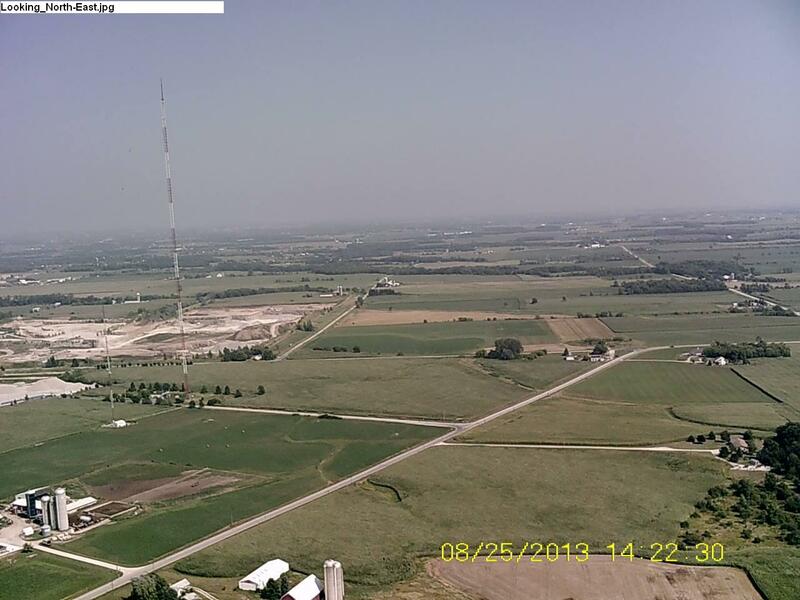 Some air handler equipment directly below the tower and next to, necessitated the temporary removal of the tower. The renovation project will take a couple years to complete. When it's done, the building will be know as the Gehl-Mulva science building. 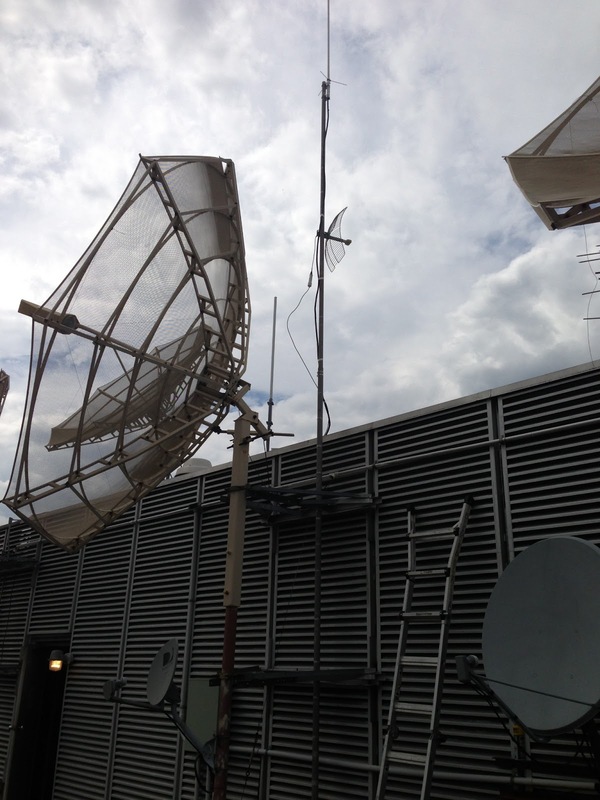 In the mean time, we have relocated the antennas for D-Star/ APRS and 802.11 link (to Scray's hill) on a mast pipe off one of the colleges other antennas. 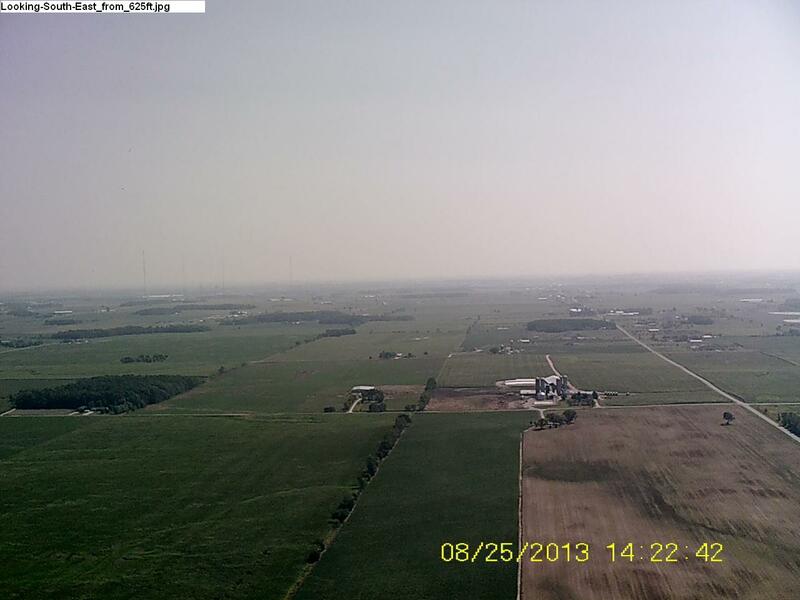 The 802.11 link to the WFRV tower is used for Skywarn weather spotting. APRS was recently used for the Lombardi middle school balloon launch. A special thanks to St. Norbert college and Mr. Downard for their continued accommodation. Also, thanks to everyone who helped with the take-down. 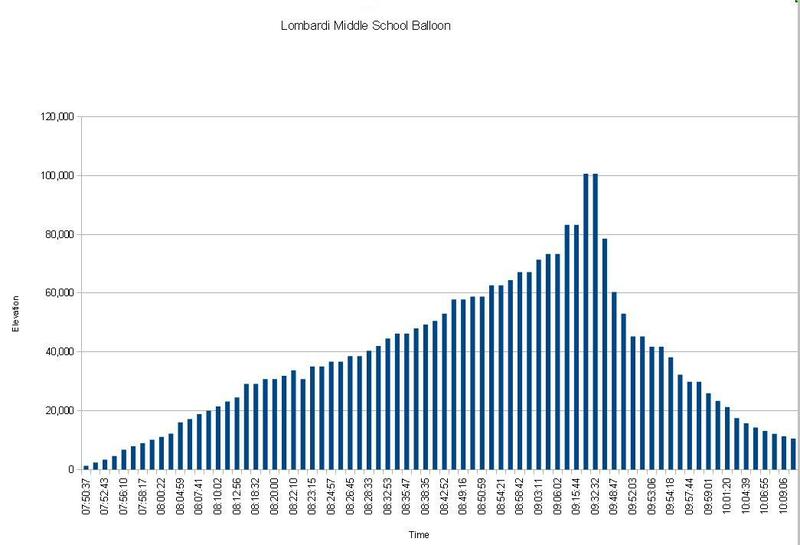 On Monday May 6th, there will be a weather balloon launched from Lombardi middle school. It will be carrying APRS. 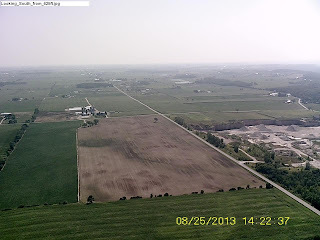 If you are interested in seeing it's track you can follow it on the internet at aprs.fi/w0ctl-11 More details about the launch and the balloon itself including pictures will be posted here after the event. 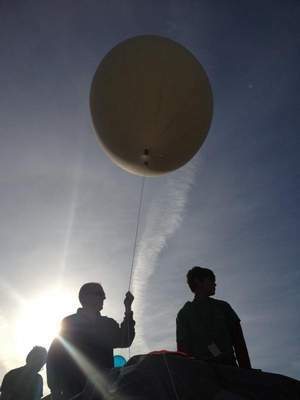 Robert Lane of the Green Bay Mike & Key Club holds a weather balloon next to Lombardi Middle School student Camden Guzman at the school Monday. The balloon — equipped with cameras, a global positioning system tracking device, and parachute — was launched as part of a science lesson coupled with the education programs from the Civil Air Patrol. The balloon was expected to come down somewhere near Marshfield. Well, it didn't make it too far and quit reporting on the decent at 10,000 feet and was found between Pulaski and Navarino. Please set aside March 9th for the annual club banquet. This years banquet will be held at the Woods supper club at 530 Erie Road. We will have broasted and baked chicken with all the fixings. The price will be 15 dollars. Social hour will begin at 5 with supper at 6ish. If you plan on attending please let Bob KB8ZXE know as we need a head count soon. His email is kb8zxe[at]yahoo.com. Also dont forget to get your ham of the year ballots into me. It is with deep sympathy that the Green Bay Mike & Key Club informs you of the passing of a long time member. Oliver D. Davis, 93, Green Bay, passed away on Saturday, January 5, 2013. He was born on February 17, 1919 in Green Bay to the late Norman & Minnie Davis. Oliver graduated from East High School. He loved Ham Radio, his call letters were W9WLZ. As a young man he built his own radio equipment, he would repair radio equipment in his parent's basement. Oliver belonged to the Green Bay Mike & Key Club and was granted a lifetime membership years ago. When Oliver was younger he worked part time as a projectionist for the local theaters. He started his own Audio Visual Company that he ran for 66 years. He also worked for Gabe's Appliance Store. You may visit the Press Gazette on-line for a complete obituary. The following are your 7 board members for the next year.